Read 52 Books in 52 Weeks: BW24: Happy 20th Anniversary to Harry Potter! BW24: Happy 20th Anniversary to Harry Potter! In 1990 the imaginary world of Harry Potter began while J.K. Rowling traveled on a train from Manchester to King's Cross. J.K. Rowling was twenty five at the time and over a five year period, mapped out the seven books in the series. 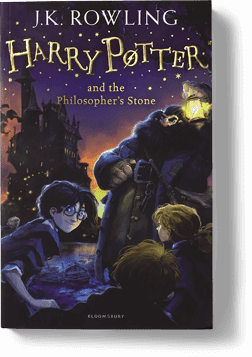 The first book was published on June 26, 1997 by Bloomsbury Children's books, titled Harry Potter and the Philosopher's Stone. 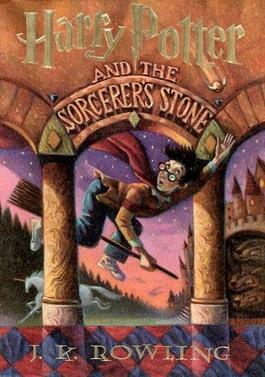 A year later, the book was published in the United States as Harry Potter and the Sorcerer's Stone. This month Bloomsbury is celebrating the 20th anniversary of Harry Potter and has released four new editions, in both hardback and paperback of The Philosopher's Stone, each with the crest of the family houses on the cover. The books are also available on Amazon.uk and I've ordered the whole set. Beginning October 2017, the British Library will launch an exposition, inspired by and including Harry Potter and the history of magic. The story caused quite a turmoil within many religious communities leading to debates over the the use of witchcraft and magic and how it would influence children. The controversy stirred my curiosity so I read the book and fell in love with Harry Potter's world and went on to read the whole series. When my son was old enough to read the series, we read them together and currently listening to the series in audio book. We're just finished Harry Potter and the Half Book Prince. If you haven't had the opportunity to listen to the books yet, they are available on Audible. Jim Dale is an awesome narrator, capturing all the character's voices, bringing the story alive, pulling you into their world. Join me this month is reading Harry Potter!